GBC Pinnacle 27 EZLoad - 27" thermal roll laminator. Make classroom laminating easier. The EZload film prevents loading mistakes so you will load film correctly every time. It features an 8-10 minute warm up time with audible and light indicators to let you know when it's ready for use. Laminate up to 27" wide at speeds up to 10' per minute. The Pinnacle EZLoad roll film is up to 3 mil thick. Plus, it features auto-reverse and footage counter for ease of use and the ultimate classroom versatility. 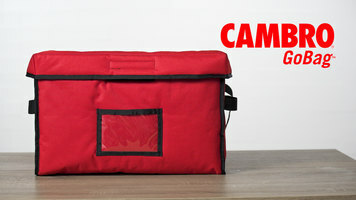 It is backed by a 1 year warranty for its durability and reliability. GBC Pinnacle 27 EZLoad - 27" thermal roll laminator. GBC Pinnacle 27 EZLoad laminator is designed with educators in mind and makes laminating an easy and hassle free process! Use these unique and durable glasses to catch the attention of your customers. 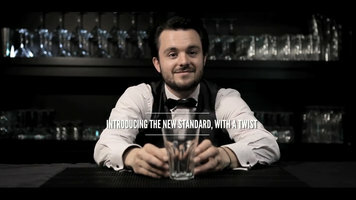 It's Libbey's new standard, but with a twist! 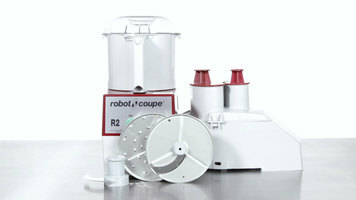 Learn about the various models of the Robot Coupe R2 series food processors, and see which one is best for your foodservice establishment! Find out about different color options and attachments available today!